When completing a noble LARP quest, injuries can slow the young warrior down. 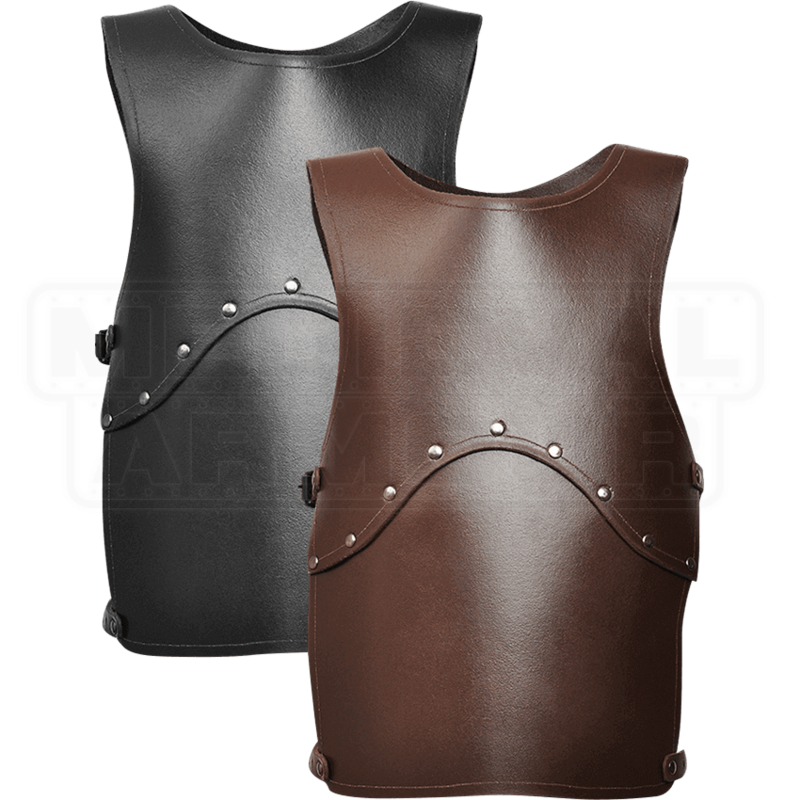 The Kids Tobi Leather Cuirass not only raises their defense on the battleground, but also creates the right look for both historical and fantasy roles. Whether your son or daughter chooses the role of Viking raider or medieval knight, this torso armour offers protection to the chest and back. 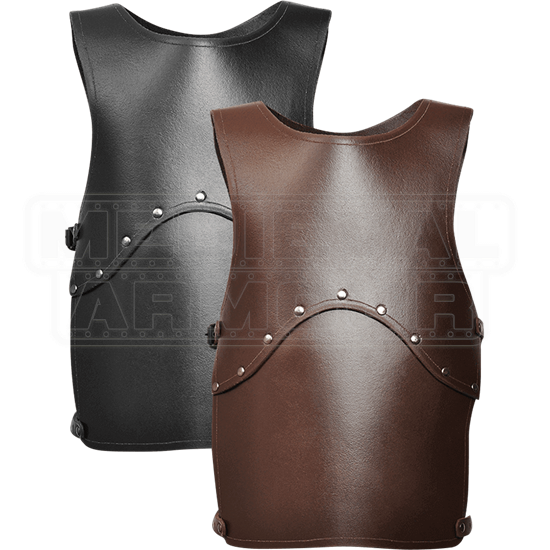 Handmade from split leather, the cuirass follows a simple design that matches a wide variety of looks. The chest and the back are fashioned from two leather segments, joined together with rivets. Two sets of buckle straps adjust the fit on either side of the waist.